Works well as a vanity stool. Colors are rich and overall looks expensive - great quality. I really wasn’t looking to spend so much on a stool, but I couldn’t find any others I liked as much as this one... happy I bit the bullet and bought it. Oh, and it’s really comfy too! I love the colors and the funkiness of this seat. Its awesome. Seems sturdy. The cushion on top seems like it will smash down fairly easily, but this is such a subtle statement piece that I cant help but love it. 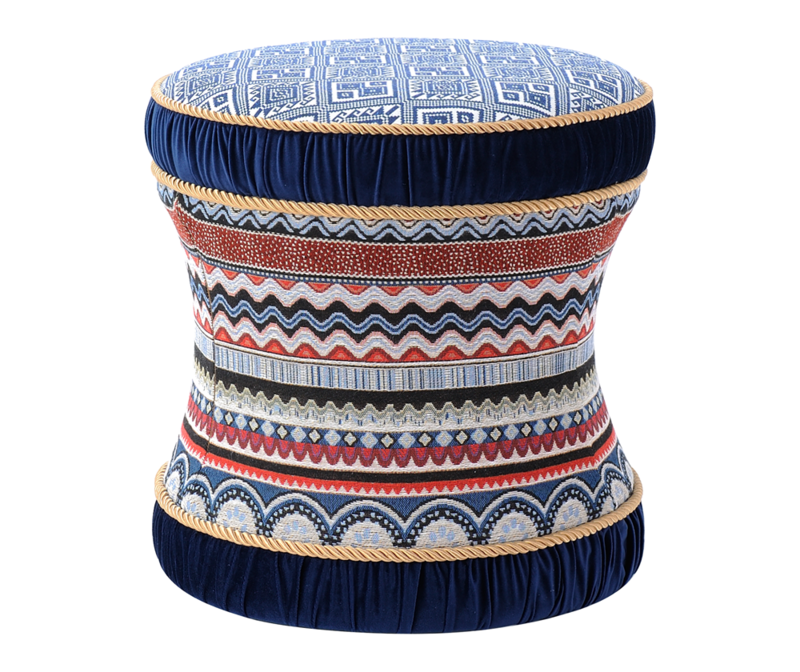 This vanity stool is absolutely lovely! The quality is excellent and the colors/image online is very true to the item as it appears in person. I'm so excited to have this as a part of my home decor. The picture doesn't do this stool justice. It is comfortable and yet very beautiful. The quality of workmanship on this stool more than met my expectations. It looks like I spent more than what I did. 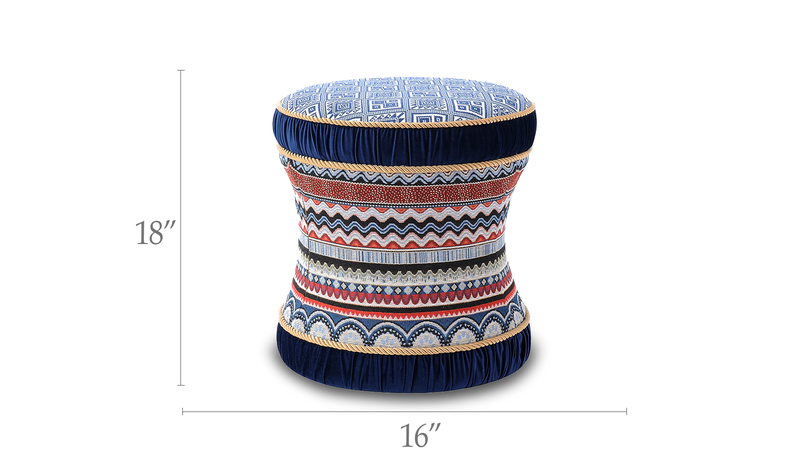 I would recommend buying this stool.